AI and Voice technologies are taking off - but how can businesses leverage this? Text searches. Don’t they already feel as if they belong to 2016? The rapid speed of change in consumer technology means that voice-activated personal assistants, including Amazon’s Alexa and Apple’s Siri, are becoming the early 21st century equivalent to what phone directories and tape recorders were to the mid-twentieth century. Ownership of smart speakers in the UK is leaping forward, according to research by YouGov. Between the third quarter of 2017 and the first quarter of 2018, ownership doubled to 10 per cent of the UK population (or 6.6 million people). And while some consumers find the novelty wears off, research indicates that these devices are on average used 2.79 times each day, which is far more often than voice assistants on smartphones (0.33 times each day). According to research by Mintel back in 2017, 62 per cent of Britons were using or were happy to use voice-operated devices to listen to music, search, check the news and of course, to shop. Now that devices such as Google Home are increasingly familiar, 2019 is widely predicted to be the year when voice searches really take off and have a tangible impact on how consumers interact with businesses. Commonly-used apps such as Trainline and Uber already offer voice searches and ordering. And according to ComScore, by 2020, 50 per cent of all searches will be conducted by voice. 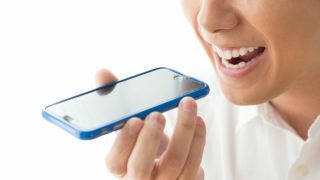 Many companies will have to rethink how they can use voice technology to gain consumers’ attention during everyday activities. Consider the home cook who may be conducting online searches while preparing meals in the kitchen or a family catching up on their television viewing. Integration with voice assistants and voice search technology will be a determinant of success for many organisations – especially consumer-facing businesses. Yet despite its growing popularity, there are worries about voice technology and the artificial intelligence (AI) that powers it, including data privacy. Many consumers remain uneasy talking to a computer that sounds human. Research published earlier in 2018 found that more than half of UK consumers (55 per cent) think AI is “creepy”. The bot sounds startlingly human. Google says that the technology can handle complex conversations without the need for intervention by a human in a call centre. Similar technology from the company, Google Contact Centre AI, has also been announced. The solution integrates Google’s technology with that of select leading customer experience solutions providers (like Genesys) to turn ordinary customer experiences into extraordinary ones for better business outcomes. Google Contact Centre AI is not universally available at the moment, but it won’t be long before call centres of all sizes use its capabilities to quickly and predictively match inquiries to the most appropriate contact, be it a human, robot or a combination thereof. The technology enables contact centres to sort out problems, deliver far better customer experiences and create optimum business outcomes. If it means quicker service for consumers, AI-powered voice technology will trump much of the unease about it. Who, after all, wants to spend half of their lunch hour on-hold to a call centre? As the technology improves in other ways – by, for example, reducing the delay between asking a bot a question and obtaining the answer – consumers will start putting their faith in these applications, and eventually take them for granted. Some bots now start conversations with customers with the words: “Tell me, in a few words, what you want to do.” That can save time for customers and companies. As bots improve, more calls from customers will be handled by machines − and with a higher “satisfaction” rating, says Gartner, the research company. Bots will do the mundane jobs (handling complaints and answering questions about product warranties), enabling employees to complete more fulfilling and profitable tasks, such as coming up with ideas for products or plans for improving a warehouse’s efficiency. However, we’re still in the early days. Machines that genuinely understand language, including context, are still some way off (as an article in MIT Technology Review noted). There is also the important question of privacy regulation, which personalisation must not infringe. The EU General Data Protection Regulation (which came into force in May last year), has given consumers more control over their personal data, which technology companies building bots will have to accommodate. Its ramifications mean businesses will have to be compliant in how they store and use data from these conversations. Ultimately though, AI, bots and voice technology could be good news for businesses across multiple industries. In the not-so-distant past, a corner shop owner would know each customer and interact with them as individuals, without seeming over-familiar. Bots can already do much of this – remembering customers’ likes and dislikes so they can make relevant recommendations – and the capabilities will only grow. As we move into what will undoubtedly be a more automated future, voice technology offers immensely easier interactions for consumers and substantial gains in productivity and engagement for businesses. Nevertheless, despite the huge promise of bots, businesses will still need humans in call centres and customer service departments. The reason is simple – bots cannot yet show the same degree of empathy or understand irony the way a human can. Yet AI’s power to personalise and its rapid exploitation of customer insights are enabling us to deliver exceptional experiences that combine technological convenience and human understanding.